As projects and teams become more agile, the lines between traditional software development and testing roles are blurring. Organizations are calling for deeper collaboration and cross-pollination of skills between testers and developers. No longer can testers remain uninformed about the underlying code and technologies that power the products they test. 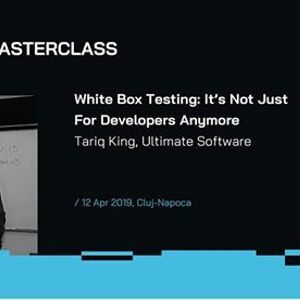 White box testing can provide a foundation of knowledge and skills for bridging the gaps between tester and developer. 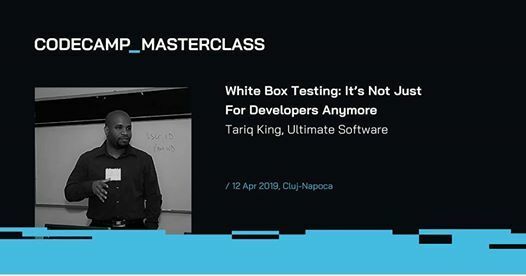 Join Tariq King as he teaches you the fundamentals of white box testing and challenges you with practical code-based testing exercises. He describes how testers can become more technical while adding value through active participation in code reviews and unit testing. This introductory session is for everyone—of all programming skill levels. Leave ready to collaborate with developers in new ways that enable you to uncover defects faster, earlier, and more cost effectively.